The Funariidae are a clade of mosses including the orders Encalyptales and Funariales. The Funariidae are characterised by an arthrodontous peristome with diplolepidous-facing teeth, and also by the possession of a 71 kb inversion in the chloroplast genome (Wahrmund et al. 2010). 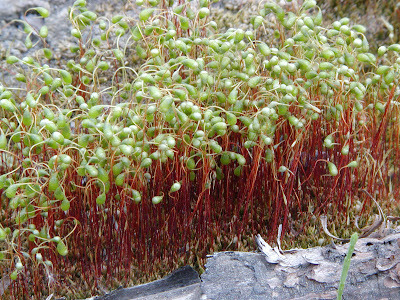 Distinctive characters of the separate families include the presence of a massive, persistent calyptra covering the capsule in Encalyptaceae, a fleshy underground stem producing abundant short gametophore branches in Gigaspermaceae, and broad leaves with large pale laminal cells and distinctive stomata in Funariaceae (Bryophyte Flora of North America). Members of the Funariaceae include Discelium nudum and Nanomitrium tenerum, minute species growing from a persistent protonema (Dixon 1924). [B05] Bhattacharyya, P. K. 2005. Bryophyte flora of Barddhaman district, West Bengal. Bulletin of the Botanical Survey of India 47 (1–4): 11–42. [D03] Dusén, P. 1903. Patagonian and Fuegian mosses. In: Scott, W. B. (ed.) Reports of the Princeton University Expeditions to Patagonia, 1896–1899 vol. 8. Botany pp. 63–126. The University: Princeton (New Jersey). [FHH01] Frey, W., M. Hofmann & H. H. Hilger. 2001. 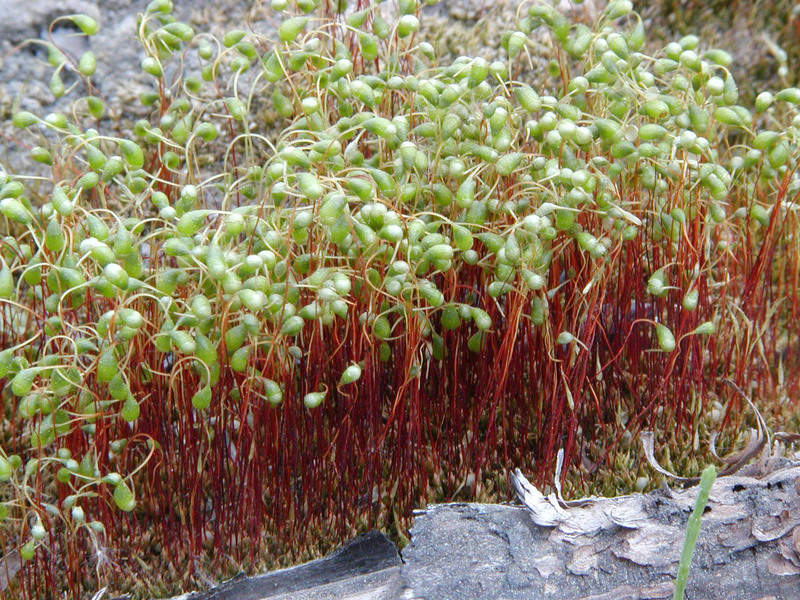 The gametophyte-sporophyte junction: unequivocal hints for two evolutionary lines of archegoniate land plants. Flora 196: 431–445. [GM96] Griffiths, A. J. F., J. H. Miller, D. T. Suzuki, R. C. Lewontin & W. M. Gelbart. 1996. An Introduction to Genetic Analysis 6th ed. W. H. Freeman and Company: New York. [N02] Negi, H. R. 2002. Abundance and diversity of moss communities of Chopta-Tunganath in the Garhwal Himalaya. Journal of the Bombay Natural History Society 99 (3): 418–433. Wahrmund, U., D. Quandt & V. Knoop. 2010. The phylogeny of mosses—addressing open issues with a new mitochondrial locus: group I intron cobi420. Molecular Phylogenetics and Evolution 54 (2): 417-426. Last updated: 28 December 2017.